What are the opening hours for this event? Do I need to buy a ticket to this event? No, tickets are not required. Entry to the Night Noodle Markets is free! Where can I find the Night Noodle Markets menus? All of our delicious stallholder menus can be found here. Are there vegetarian, vegan and gluten-free options available at the event? There sure are! Check out our stall holder menus here. Dietaries are noted under individual menu items. If you’re still unsure, you can ask any of our friendly stallholders at the Markets if they have vegetarian, vegan or gluten-free options available. Can I pay with cash at the event? 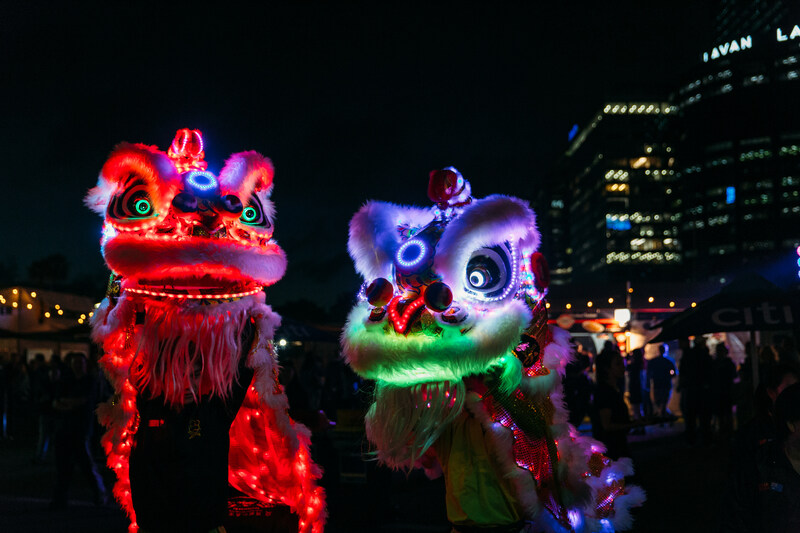 The Night Noodle Markets are a cash-free event. Make sure you bring your cards along with you for all purchases. If you want to load cash on to a card to use at the event, you can do this by visiting the Information Tent on site. The Night Noodle Markets are dog-friendly. We do ask, however, that if you bring your four-legged friends along, you ensure they are kept on a leash. Please also be mindful that there are large crowds at the event, which pets may find stressful. Please ensure you look after your pooch and if crowds aren’t their thing, maybe leave them at home with a doggy treat. Does the event still go ahead if it’s raining? Yes, the Night Noodle Markets will operate even if it is raining. The only time the event will close down due to weather is if there is any danger present. We will always do our best to notify people if we do have to close the event for safety reasons. Follow us on Instagram and Facebook to keep up to date on all things Night Noodle Markets. Please see the City of Perth’s dedicated parking website here for information on parking around Elizabeth Quay. Can I take public transport to the event? Please see the City of Perth website here for information on public transport to get you to Elizabeth Quay. I’d like to have a stall at a Night Noodle Markets event. Who do I contact about this? Get in touch via our online enquiry form that can be found here.